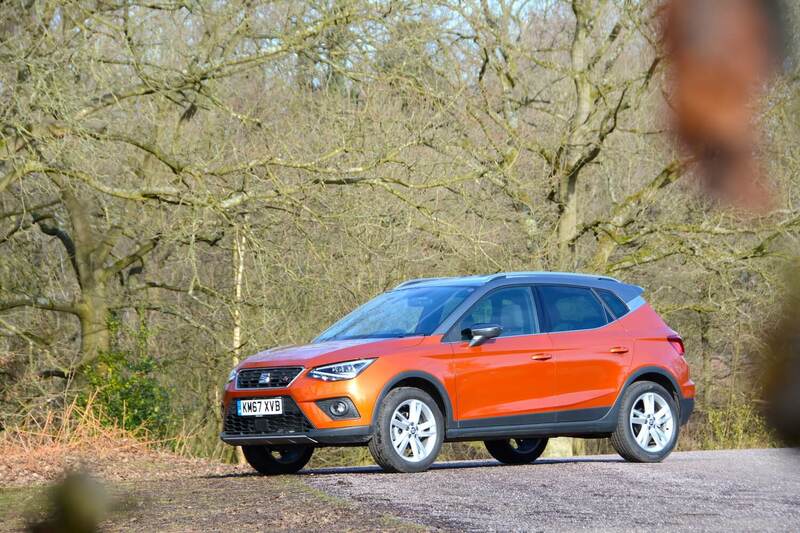 The SEAT Arona FR 1.0 TSI 115PS 6-speed manual offers fun, efficiency and practicality – all at an affordable price. Yes, it’s another small SUV. 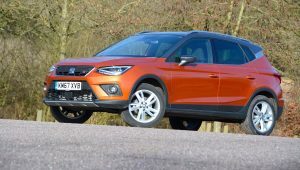 It wasn’t very long ago that SEAT had no SUVs in its line-up – now the Arona joins the larger Ateca – and SEAT’s sales figures are increasing as a result. Our Arona test car had a 3-cylinder, 1-litre petrol engine, a 6-speed manual gearbox and front-wheel drive. 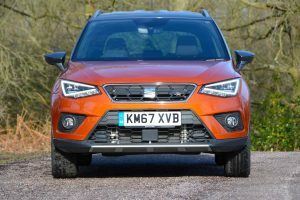 We prefer the styling of the Arona to that of the larger Ateca – details such as the Arona’s headlights are more simple compared to the more fussy design of the Ateca. 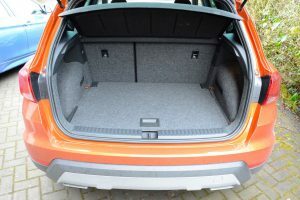 The Arona’s interior is functional, but it’s always obvious that SEAT’s designers have to fit in a very specific position in terms of design and material quality so that SEAT doesn’t encroach on Volkswagen or Audi. The Arona offers a practical interior size in relation to the car’s compact footprint, and if you’re desperate for more storage space, there’s a deep compartment under the boot floor. 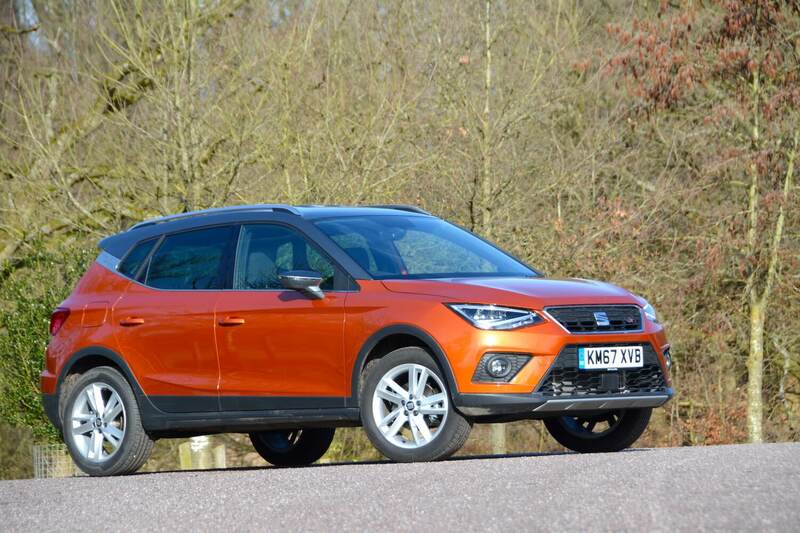 The Arona is good to drive: it feels light, agile and efficient. There isn’t huge performance but it’s perfectly adequate, there seems less turbo lag than some other Volkswagen products, and handling is good. The car’s primary ride is supple, but its secondary ride can get caught out by the vast number of pot holes that are taking over our roads. 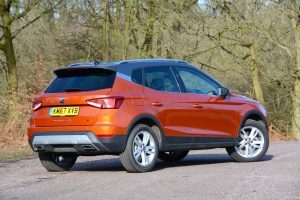 Recent front-wheel drive Volkswagens that we’ve tested have really struggled with grip from the front tyres (such as the Tiguan with its Continental Cross Contact rubber) – but the Pirelli tyres on the Arona thankfully offered much higher levels of grip. 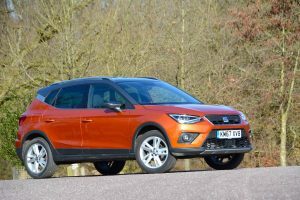 And the Arona seems to have a more effective traction control system – which is a relief, because there’s no obvious way to disengage it. The Arona is even capable on motorways, when performance remains impressive, as well as being quiet and refined. You can select different driving modes – Eco, Normal, Sport and Individual – and once selected, they stay selected next time you start the car – although there’s not much difference between the modes. 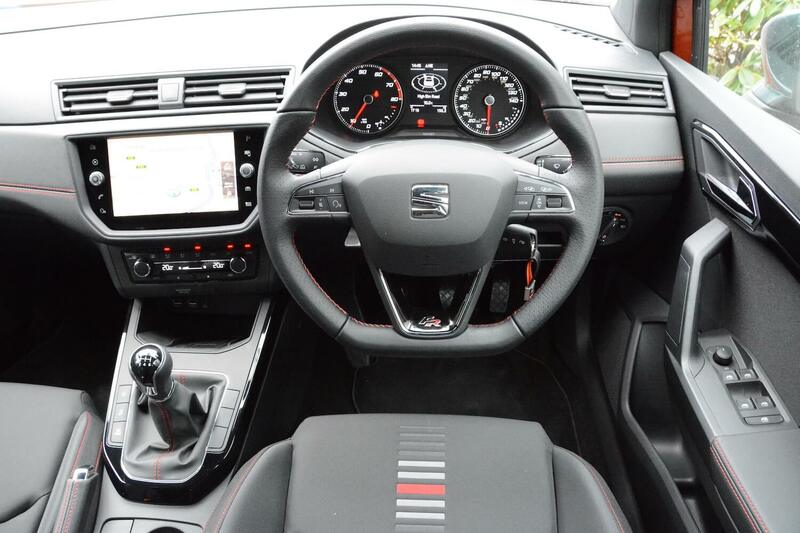 The infomedia system features one of the latest Volkswagen Group touchscreens, although it’s surrounded by symbols that could be clearer, and it seems impossible to enter a postcode into the satnav. 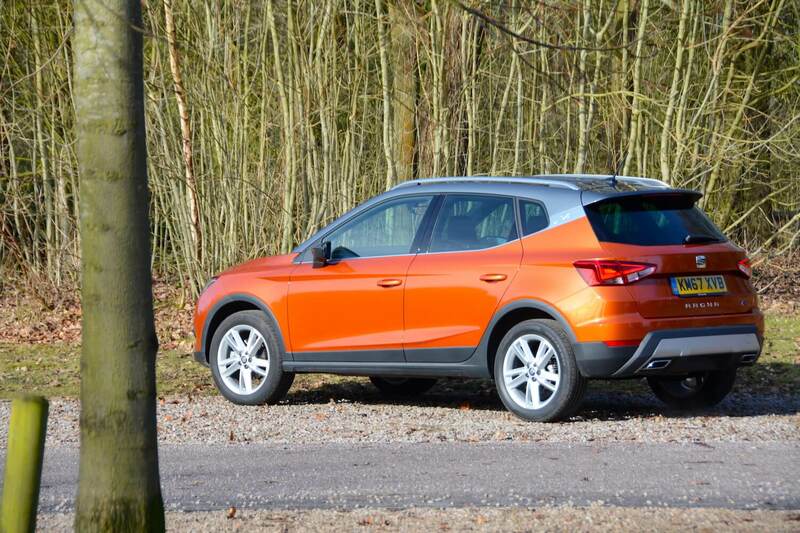 The official NEDC combined fuel economy for the SEAT Arona FR 1.0 TSI 115PS 6-speed manual is 57.6 mpg, with CO2 emissions of 113 g/km. 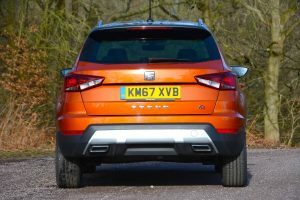 This is an impressive economy figure for a petrol SUV – albeit a small SUV. But it gets better – our real-world economy was also very good. On our regular attempts to negotiate our way through the roadworks on the M6 in Cheshire without being caught behind one of the crashes that seem to happen pretty much every day (Highways England – what are you doing about this? ), we averaged 75.6mpg at 50mph. At 70mph the Arona returned 53.0mpg, and with careful driving on A-roads we managed 59.5mpg. 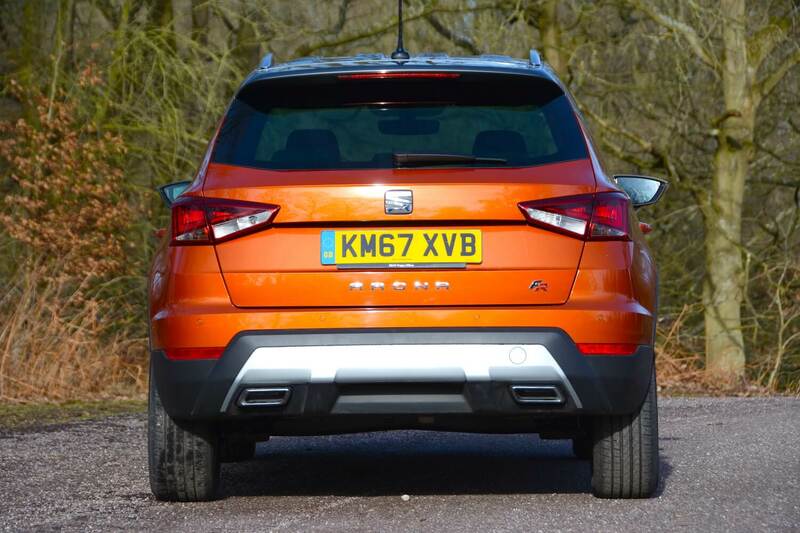 Overall, after a week of mixed driving, we averaged 52.2mpg – which is excellent. SEAT even publishes the Arona’s NOx emissions: 34.4 mg/km. 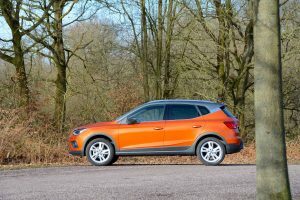 The SEAT Arona FR 1.0 TSI 115PS 6-speed manual costs £19,895. As somewhat of a world first, our press car had zero options. Engine choices include the 1.0 TSI 95PS, 1.0 TSI 115PS FR, 1.0 TSI DSG-auto 115PS, 1.5 TSI EVO 150PS, 1.6 TDI 95PS and 1.6 TDI 115PS. Trim levels are comprised of SE, SE Technology, FR, FR Sport, XCELLENCE and XCELLENCE Lux. 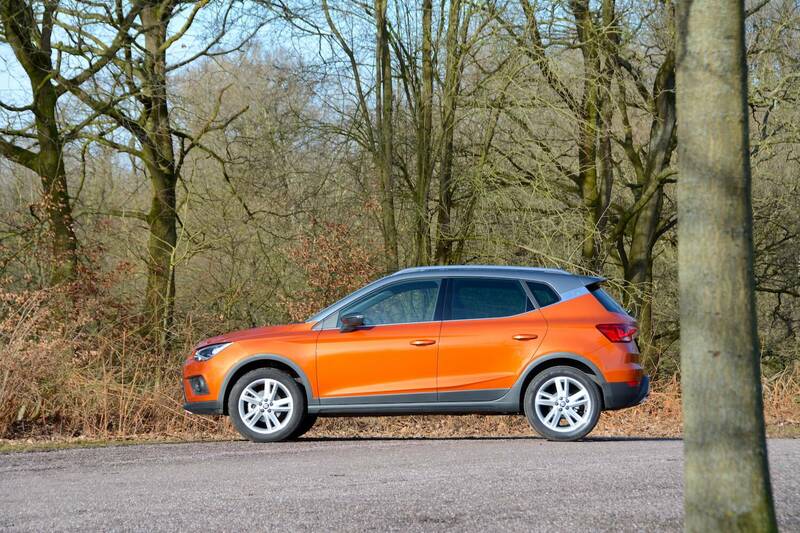 The SEAT Arona FR 1.0 TSI 115PS 6-speed manual offers fun, agility, economy, and practicality. It looks good and it’s even affordable. These are the key features that we look for in a car, and there aren’t many faults, therefore the Arona scores a Green Car Guide rating of 9 out of 10. 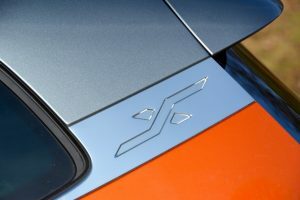 This reinforces our previous experiences with SEAT’s FR models: in our view, they reflect what SEAT should stand for, and what is needed to differentiate the SEAT brand from other Volkswagen Group products.